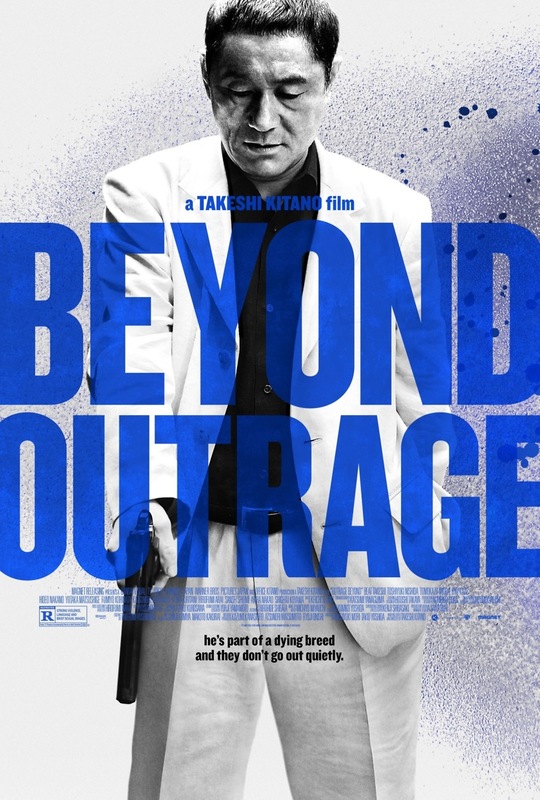 Beyond Outrage DVD and Blu-ray release date was set for March 11, 2014. When two bodies are fished out of the bottom of a harbor, local detectives suspect gang violence or maybe even a serial killer. What they don't suspect is that one of the men is actually a high-powered government official who'd been outspoken on the evils of Kato, Hanabishi-kai's Grand Yakuza Leader. The Japanese police are determined to bring Kato down for his crime. But with corruption seeping into all areas of the force, the only person they can trust to get the job done is a man named Otomo... a former yakuza who used to be one of Sato's most trusted officers. As Otomo cuts a bloody swath through Sato's forces, the two men are forced to confront their history, but the matter goes beyond anger, pride or even personal vendettas. It goes, in fact, beyond outrage.